June | 2015 | RAW GODDESS, INC.
Posted on June 30, 2015 by RawGoddessInc. We truly are living in some amazing times! Tonite we get to witness Venus and Jupiter converge into a Super Star Alignment! Venus and Jupiter are the 1st and 2nd brightest planets in the nite sky. So much so they appear as stars! They will come closer than usual and the world gets to see it. So what does this mean? What is the Universe trying to show and tell us? Right now is the best moment of your Life. You need to focus on your dreams and reach for the Happiness you were made for. The Sky is the Limit. Actually, There Are No Limits. Venus and Jupiter are both benefic planets that hold the Keys to Our Collective Spiritual Expansion. This Super Star Alignment will be happening at the beginning of Leo emphasizing the Heart Chakra. This will bring a worldwide focus back to love, courage, unity, centering, and creativity. This will signal massive benevolence, social expansion, generosity and success! You should start to feel a new level of spiritualized love now. Expanding on the Planet. The Love Vibration. Higher Forms of Love. Optimism in the Face of Adversity. The Love of Travel. Helping us understand our Roots. Seeking guidance and giving guidance. Helping with the social and community issues we have today. Art as a Spiritual Healing Force. Be charming, be sociable, be sensual and create. Expansion, success and wealth are yours to manifest! *If you would like to learn more about this alignment in your 13 Sign Birth Chart or take a private 13 Sign Astrology Class with me, fill out the contact form below. Thanks for reading and sharing! Posted on June 21, 2015 by RawGoddessInc. It’s officially the 1st day of summer. It’s also the 1st degree our Sun truly enters Gemini. If you have a Google sky map app on your phone, you can view the actual position of the Sun, as it is just leaving Taurus. Gemini is a sign of dualities and doorways. This year for the Summer Solstice we also have a Mercury retrograde shadow, showing us both sides of all situations. Shadow zones can be even harder than the retrogrades themselves. It’s very important to remain SUPER positive about the good in your life starting today! Summer Solstice is the time of the year with the most sunlight. June 21st to June 24th have the 4 longest days of Light. After June 24th the days are shorter and the nights become longer. These 4 days should be spent in meditation, affirmation, and deep prayer. Again, stay positive, focus on your goals, and pay attention to your dreams. There will be a deeper meaning behind them for this alignment. This is the time to get readings and listen to your higher self. Ra the Sun God is in full force, raising our kundalini and awareness. This is a time of programming. Time to cleanse your light body and visualize what you want to manifest in your life! *Warm lemon water in the morning fresh squeezed. The Summer Solstice was the most important day of the year in ancient Egypt. Our original Solar Calendar was calibrated to the rising of Sirius on this day! 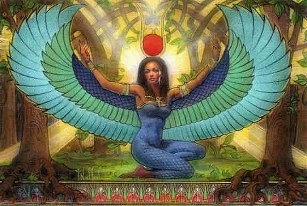 This is the star of Goddess Isis/Auset. Annual flooding of the mighty Nile River would also happen for the Solstice and is the basis of all ancients worship, ceremonies, and rituals that developed in its path. We have this alignment to thank as the birth place of the stars and the most prominent deities. The Great Pyramids are calibrated to this star. The level of creativity is very high in this Taurus-Gemini area of the sky. In ancient Egypt, Summer Solstice was the beginning of the New Year. This is the Spiritual New Year’s Day! This is a rise in consciousness. This is the wishing cycle, where your most powerful visions will be answered. Create a ritual to honor the light within yourself and all those around you. This is a Spiritual Renewal! *Make sure to join my Raw Goddess 13 Signs Astrology Group on Facebook and follow RawGoddessInc on Instagram and Twitter. If you would like to learn more about this alignment in your 13 Sign Birth Chart or take a private 13 Sign Astrology Class with me, fill out the contact form below. Thanks for reading and sharing! Posted on June 15, 2015 by RawGoddessInc. A new moon occurs when the Sun and the Moon are conjunct or aligned in the same zodiac sign. In real 13 sign astrology that means this month it’s happening at the end of Taurus, the cow horn priestess Het Heru, on June 16th, 2015 at 10:05 AM EDT. The Sun will actually stay in Taurus until June 19th. This year we get two chances to focus on resetting our values and rebuilding our routines with money and possessions. This message is even more evident with a Mercury Retrograde in Taurus since the Goddess’s 1st new moon in May. The Sun actually spans Taurus for 38 days!! Use this new moon to gain clarity in your visions of the Future. The new moon is a time of deep introspection and setting intentions for new beginnings. Het Heru is the Goddess of Love and therefore creative manifestation. She teaches us to enjoy life and actualize our dreams. What we see in our minds eye is what we feel in our hearts and this new moon is all about it, again! She is The Law of Attraction and before anything can manifest, it has to exist in our spirit first! We create our life with our imagination. Het Heru reminds us to channel our sexual energy into higher spiritual realms. She is THE sky Goddess giving birth to our reality here on earth. The sacred cow. We create what we desire and focus on with a passion. Anything goes, so focus wisely. This is a very sensual new moon highlighting art, music, dance and fertility. Het Heru is also represented as Oshun, Aphrodite, Venus and Hathor energetically. Her worship is very old and even predates the official dynasties of ancient Egypt. She is everything that is true and good. 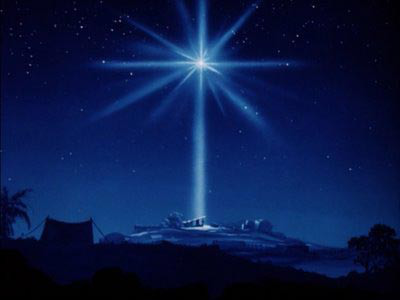 The Mother of Light in the Sky. Manifestation. To maximize the potential in this new moon, beautify yourself and All around you. We deserve to feel good in this Life! Work with The Power of Intention. The Power of Creation. If you’ve been looking for a creative breakthrough, now is the time! As Mercury Retrograde moves thru it’s shadow zone, prepare for major abundance to flow your way! Activate the kundalini (sexual) energy. Work with the subconscious mind to visualize the life you want. This is how life is created. Channel your imagination to inspire something beautiful with love and art. Make a new vision board. Focus only on what you want to happen in your life. Het Heru is the mother of every God and every Goddess. So you have to go through her to manifest anything here on Earth, with love and creativity, of course. *Mercury Retrograde’s shadow in Taurus will last til June 26th, making Het Heru’s lessons of love and abundance even stronger. To learn more about 13 Sign Astrology & Readings done by me, join my Raw Goddess 13 Signs Astrology Group on Facebook. Send me a request to join in on our growing community. If you would like to know more about this alignment and where it’s happening in your personal 13 sign birth chart fill out the contact form below. New moon energy lasts for 2 weeks. Lunar Taurus energy will be the theme until July 1st. Happy 2nd New Moon in Love!